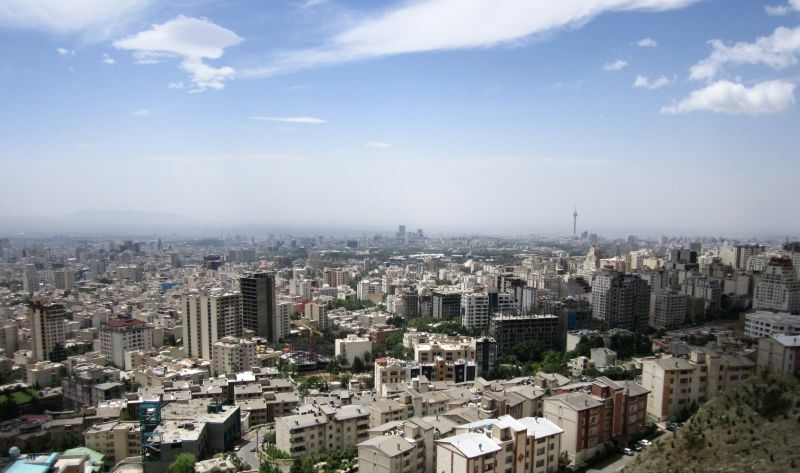 Good bye Iran! Hello Turkey! 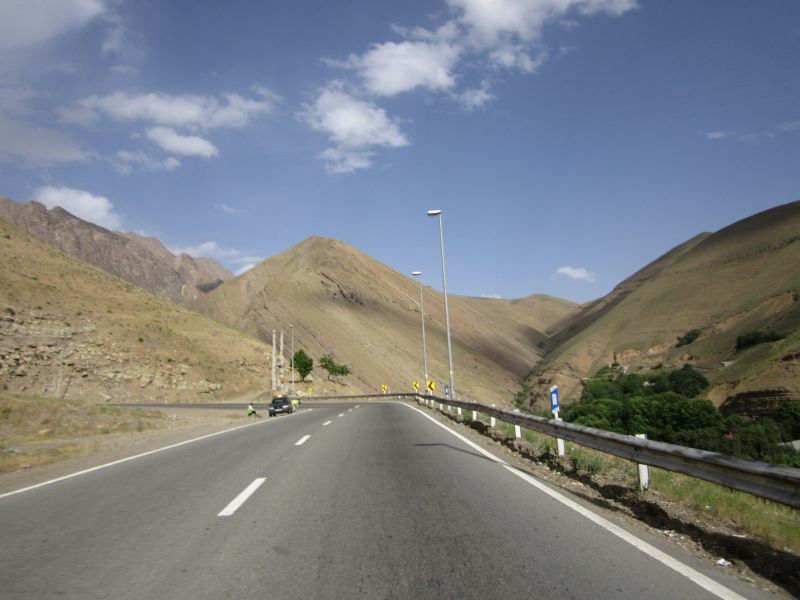 We could not move forward with blogging without expressing our deepest consideration towards all Iranians who did everything within their means so we can have the best time in their country. Ordinary people on the street who sacrificed their time to take us around town making sure we won’t miss any important sights; warm hosts that welcomed us in their houses; skilled chefs who delighted us with their home made dishes. 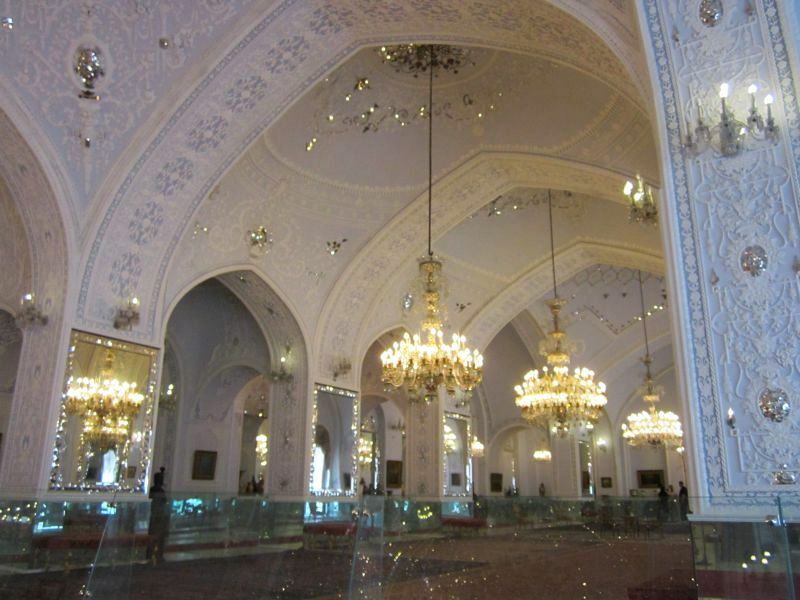 For us, there is no doubt Iran is the country where we received the warmest welcome ever and we had the chance to meet some of the kindest and most hospitable persons so far. We will forever remember all of you! With that in mind we proceeded through the border checkpoint near Sero, just 20km North of Iraq. That’s where we found the first car registered in Romania, a Mercedes-Benz CL65 AMG. It was stored in the confiscated contraband area. Business as usual! 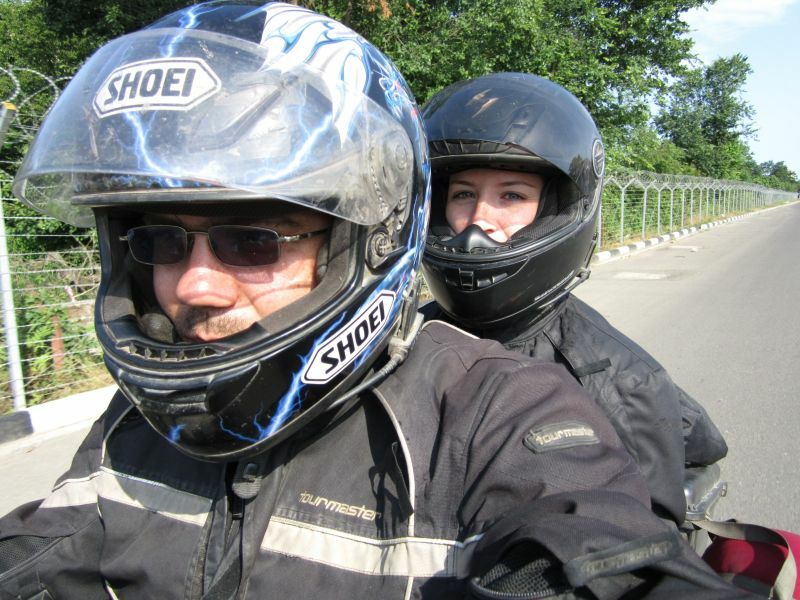 The fist few hundred km in Turkey weren’t that pleasant. The road condition was very bad. We collected more dust there than during the 3000km in Iran. The cities seemed crowded and disorderly, reminding us about India. Same kind of bystanders were gathering around the bike. The main difference was the bystanders in India were barefoot, while the ones in Turkey were wearing black leather jackets. 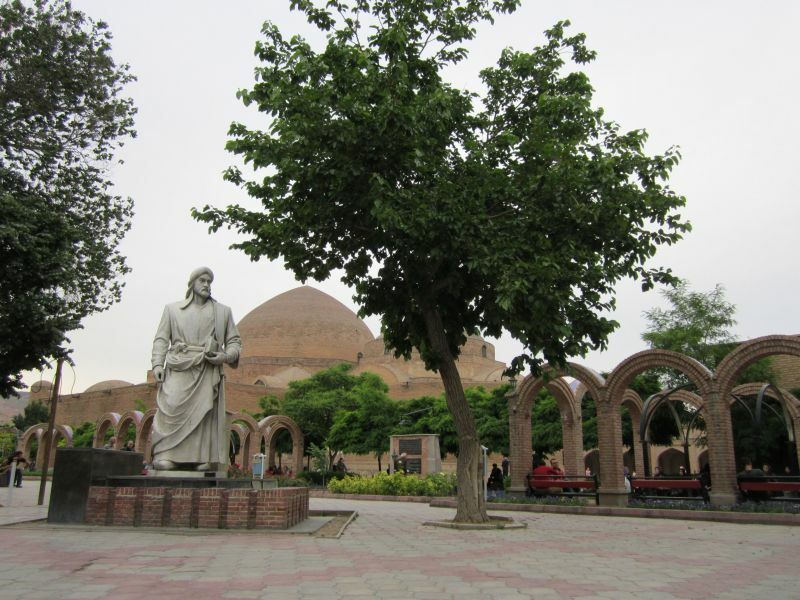 Tabriz was our last scheduled stop in Iran. 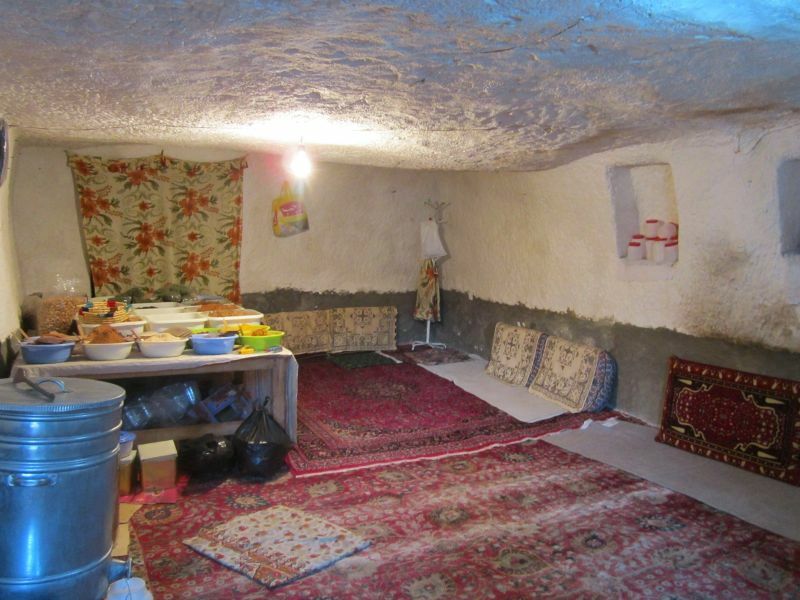 We spent the night with some Azeri students in their dormitory. They cooked some food for us and we brought roasted chicken and sweets. The next day the students took us for a short city tour. 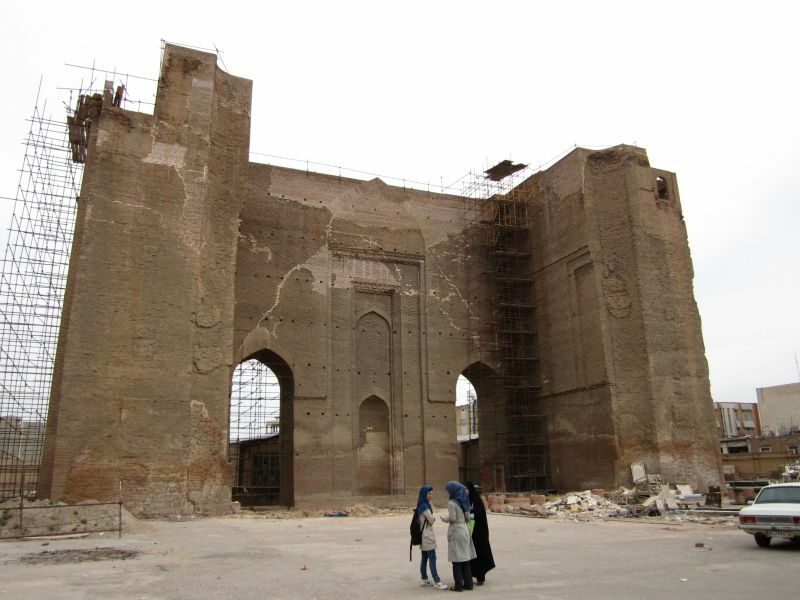 First we saw Ark-e-Alishah, a piece of a former fortress. 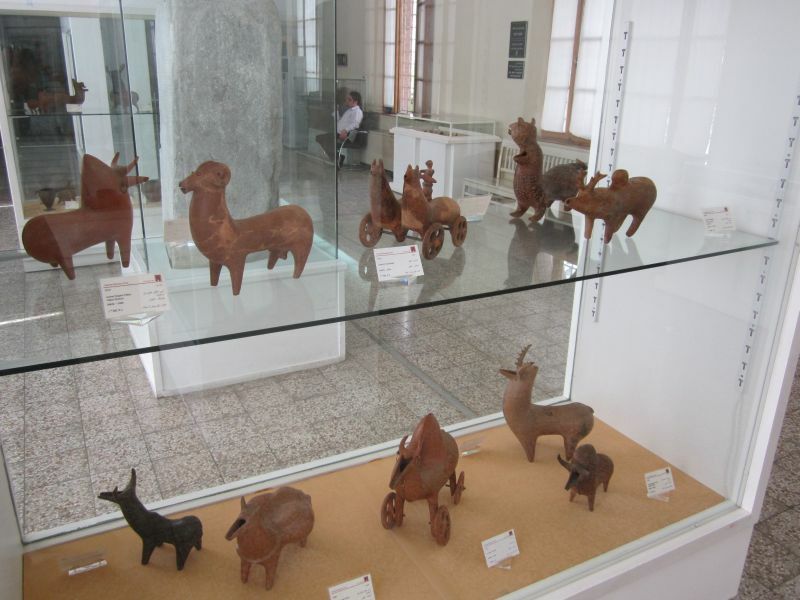 Azerbaijan museum is mainly focused on history and archaeology, but there is also an art gallery. This is one of the parks. In the background there is the Blue Mosque, built in 1465, collapsed after an earthquake in 1778 and rebuilt 40 years ago. 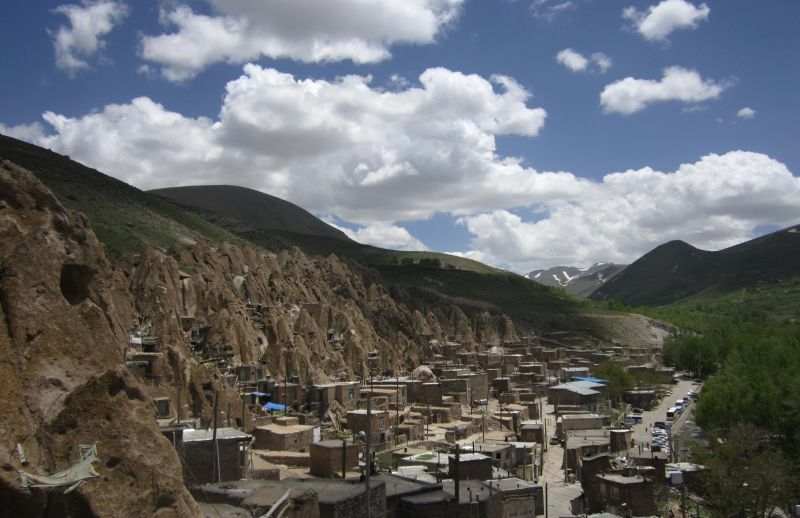 Outside of Tabriz there is an unusual village named Kandovan. 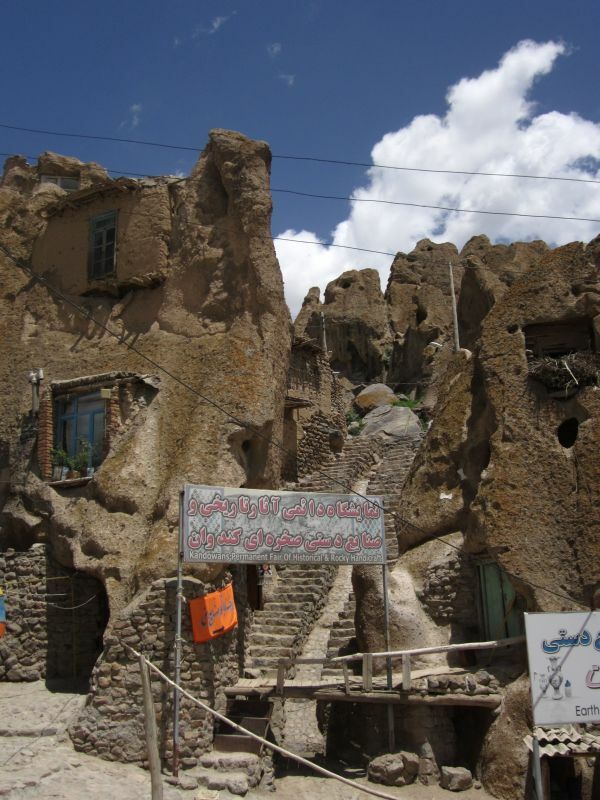 Cone shaped rock formations were excavated and transformed into houses. Unfortunately, metal doors, advertisements and banners have taken a toll on authenticity. 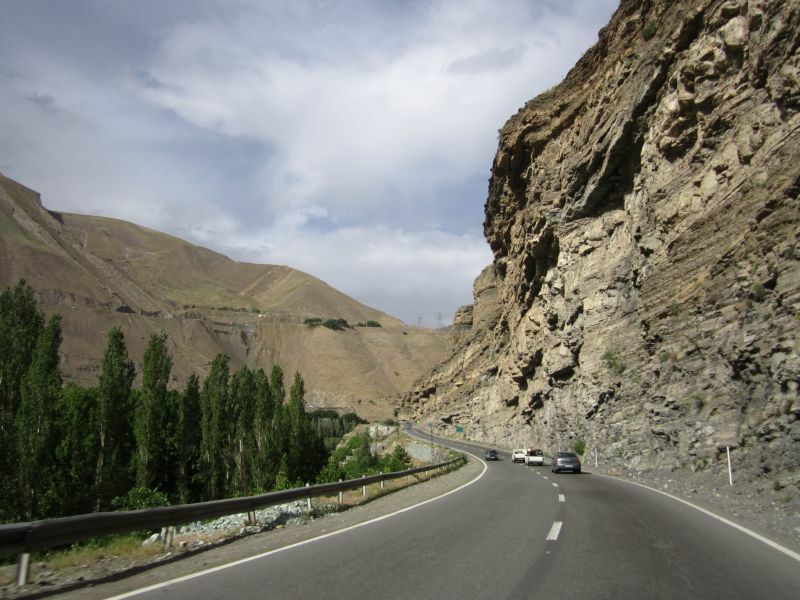 Soon after Tehran the scenery improved dramatically, as we decided to cross the mountains to reach the Caspian sea. 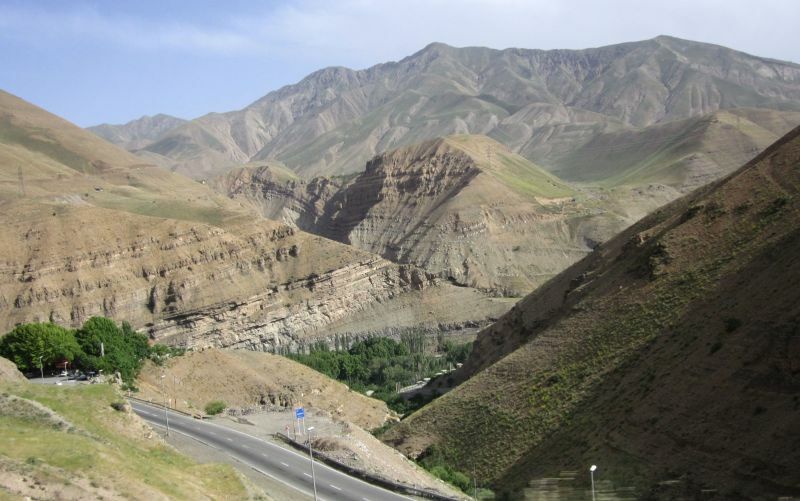 Many tunnels, bridges, deep valleys and breath taking views. 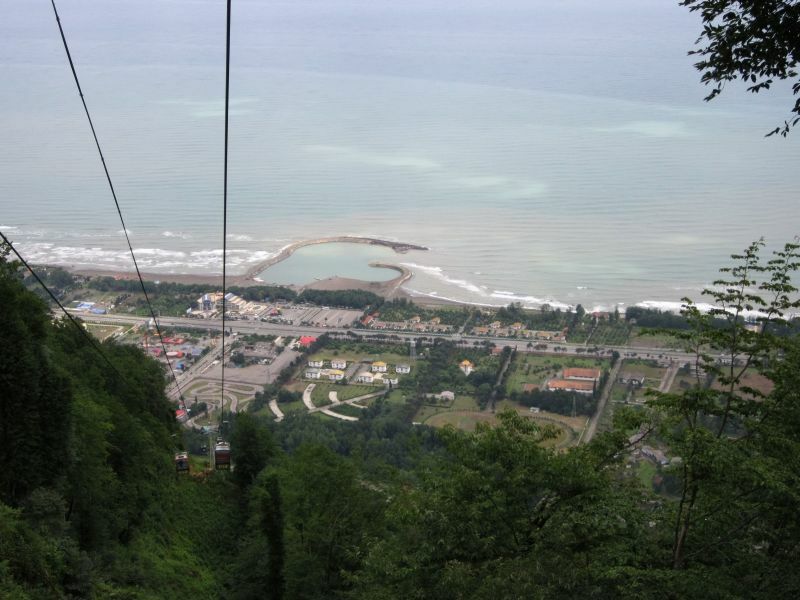 On the shore there are many resorts. 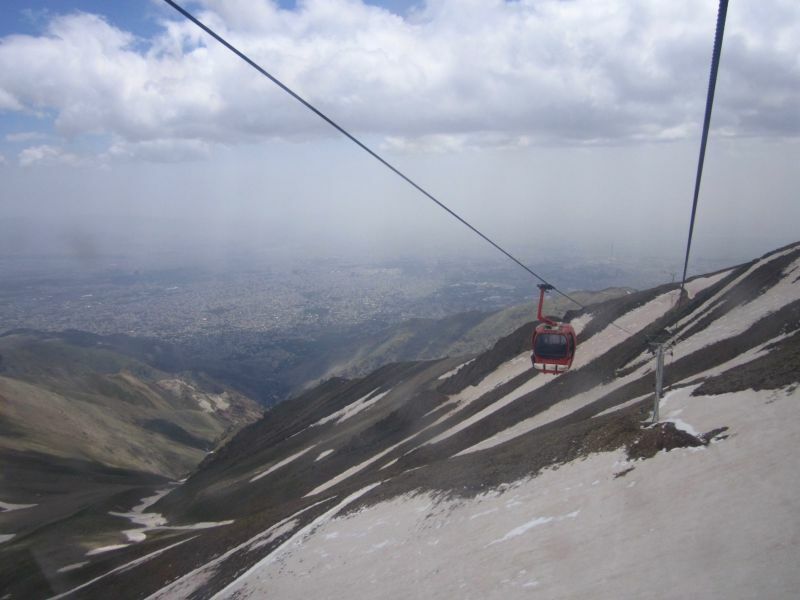 We also found a gondola lift. We spent one night camping on the beach. We changed course towards West after reaching the border. After the barb wire fence is Azerbaijan. 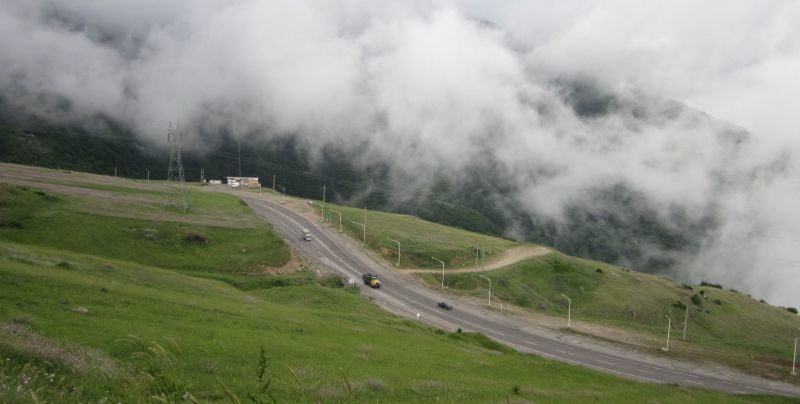 Soon we were once again in the mountains, climbing towards Ardabil. 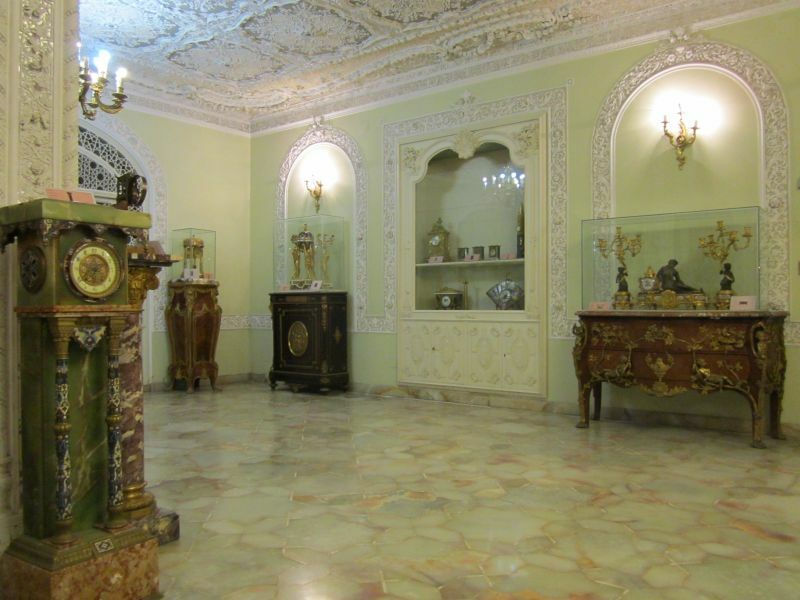 The Golestan Palace, a former Qajar royal residence, today houses 6 museums focused on arts and crafts, as well as gifts received by the monarch from abroad. 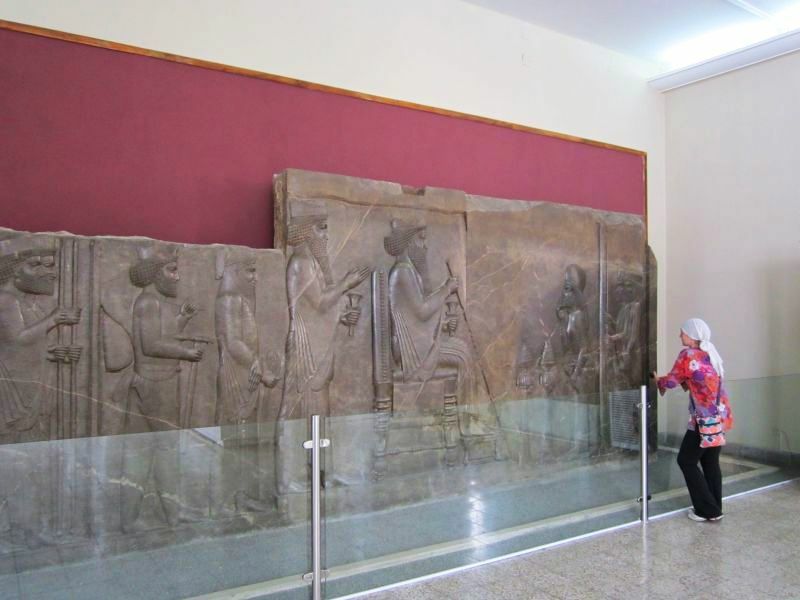 The Iranian National Museum is focused on archeology, bringing together artifacts from all over Iran and beyond. 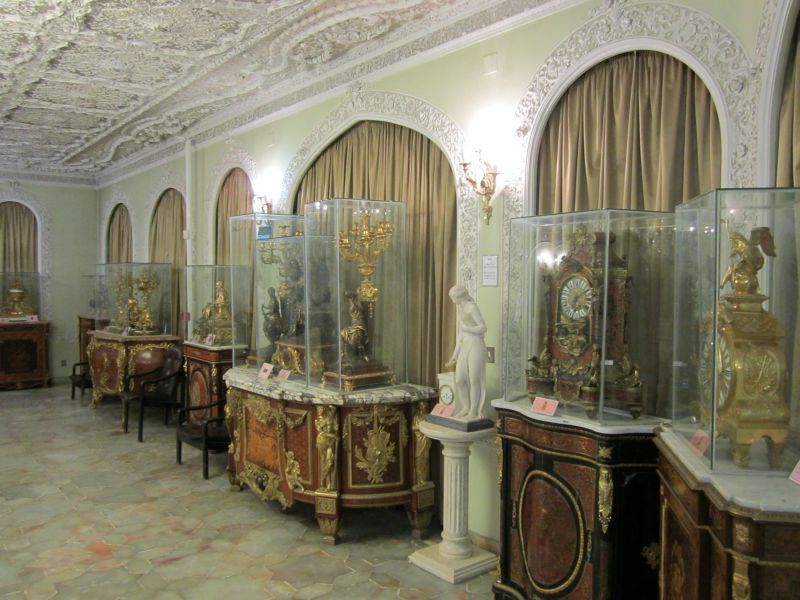 The Glass & Ceramics Museum has a collection of old and new objects. Very wide variety. 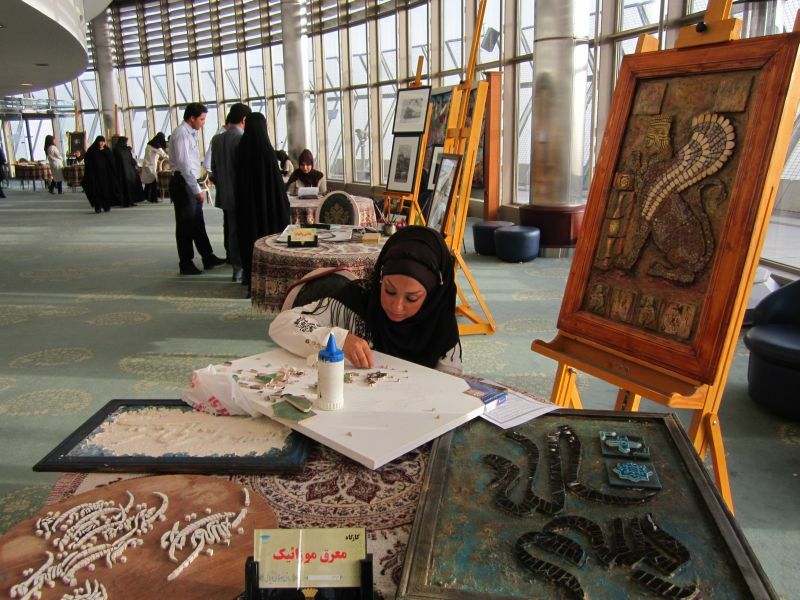 Live craftswomen working inside the Milad tower. 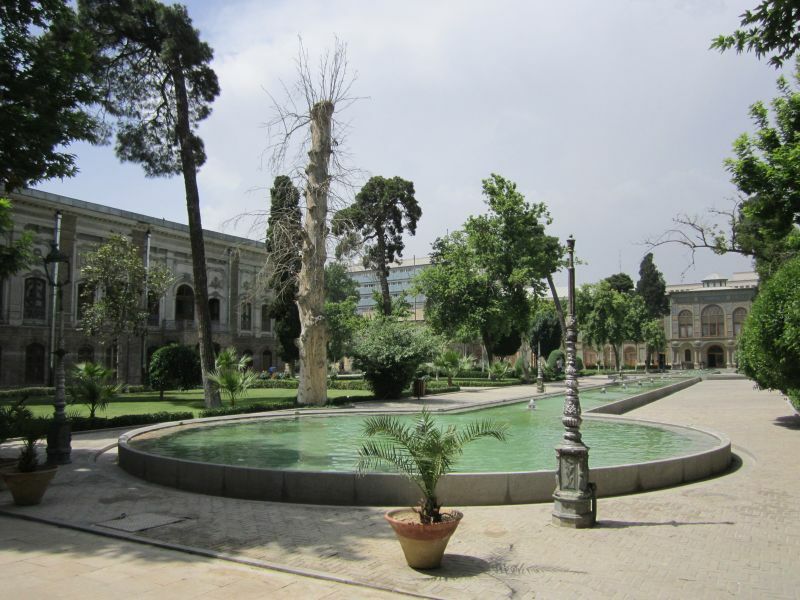 The Saadabad Palace is the residence of various former Iranian royalties. 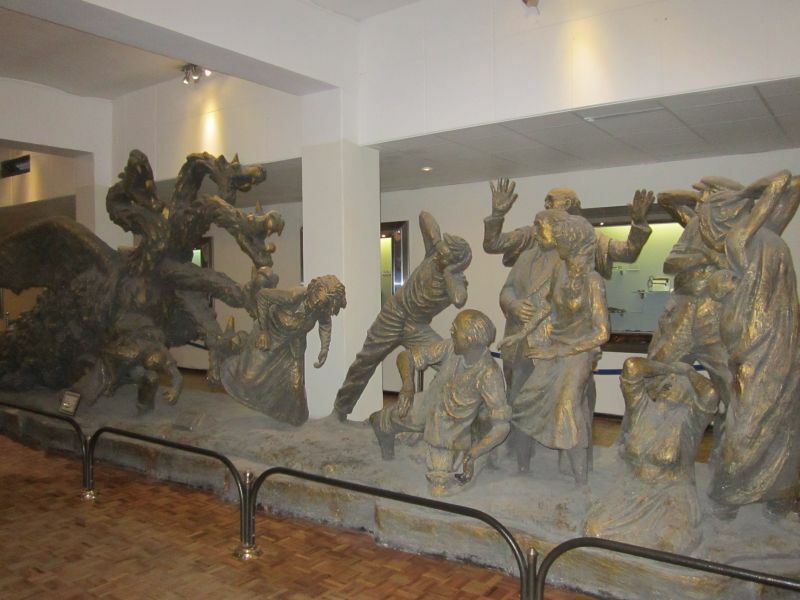 It is located inside a park where 10 other smaller museums and exhibits are available. 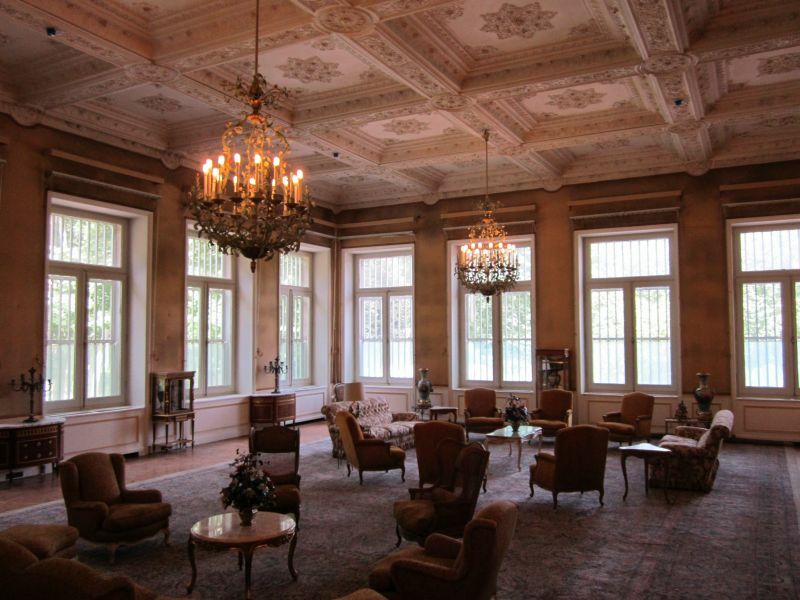 This awesome estate houses a time museum. 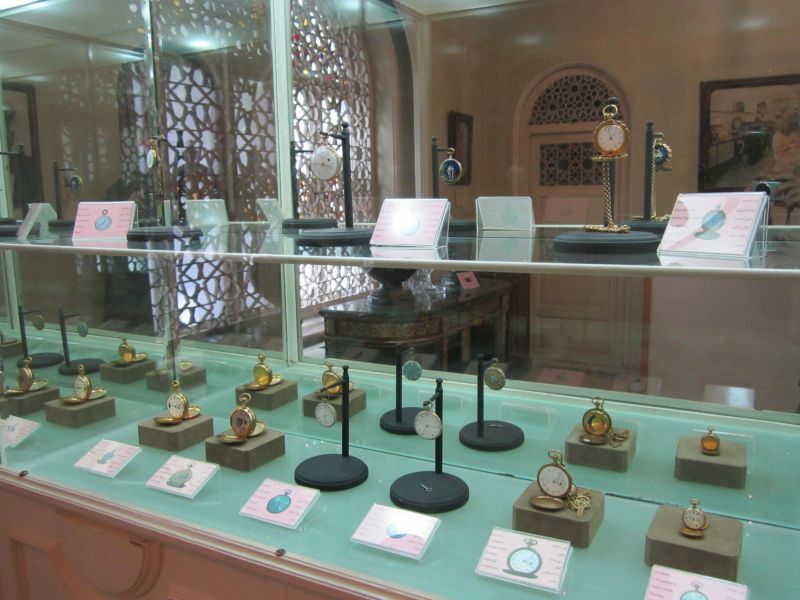 Some time pieces shown here are more than 400 years old. 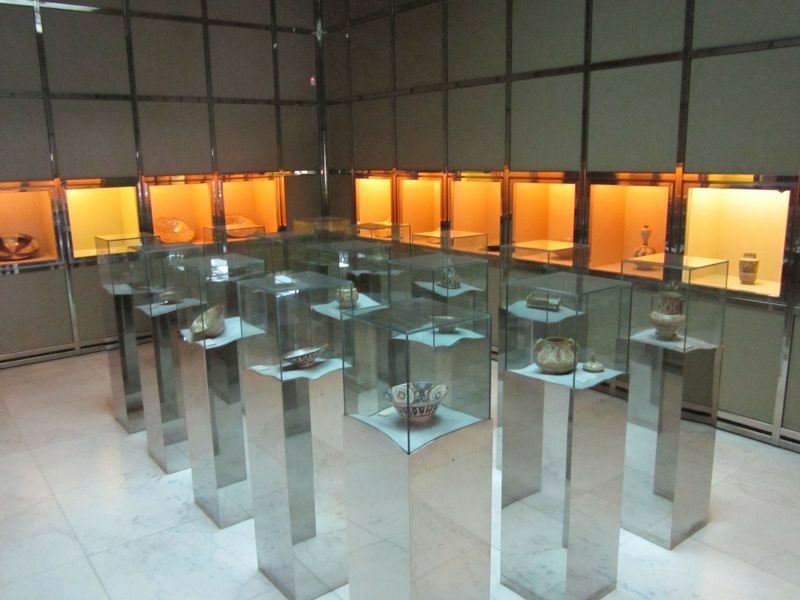 The National Jewels Museum is located in a vault under the Iranian Central Bank. 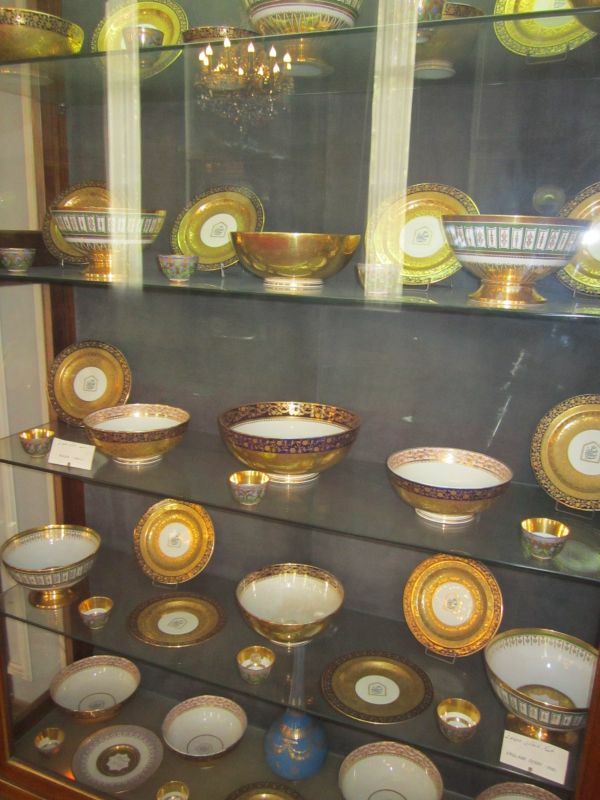 Various objects made of gold and gems are shown. Photography is prohibited. 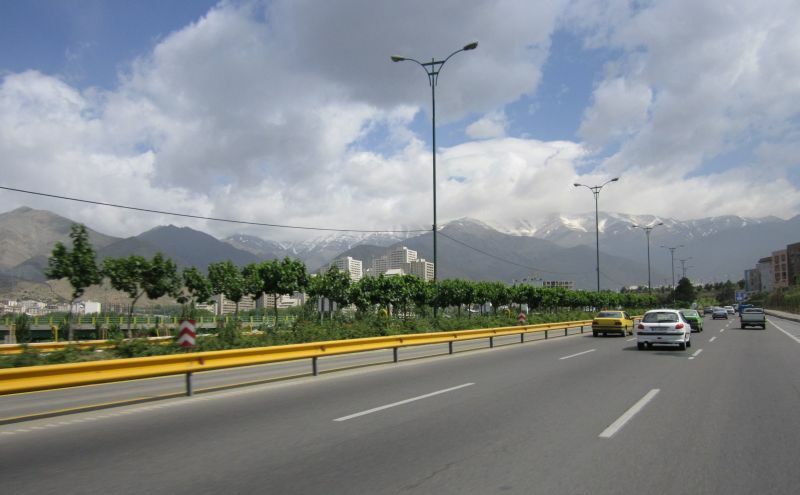 Feels good riding the motorcycle in Tehran: wide avenues, many expressways and no longer dependant on buses and unscrupulous taxi drivers. 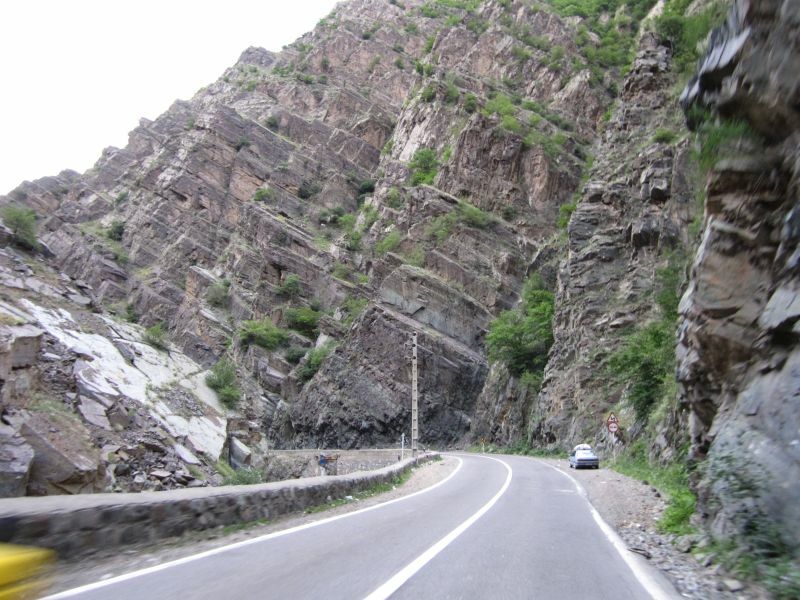 Most guide books advise travelers about the high pollution and extremely dangerous traffic. Perhaps the authors who wrote that haven’t seen too many Asian countries. 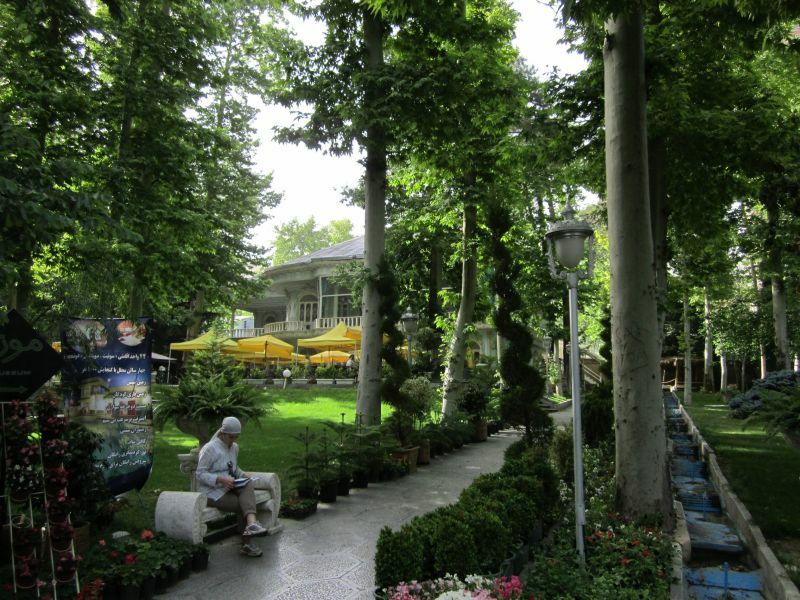 In fact, we found Tehran to be the cleanest capital (among those visited during this trip), with many parks, gardens and clean streets. Very livable conditions! 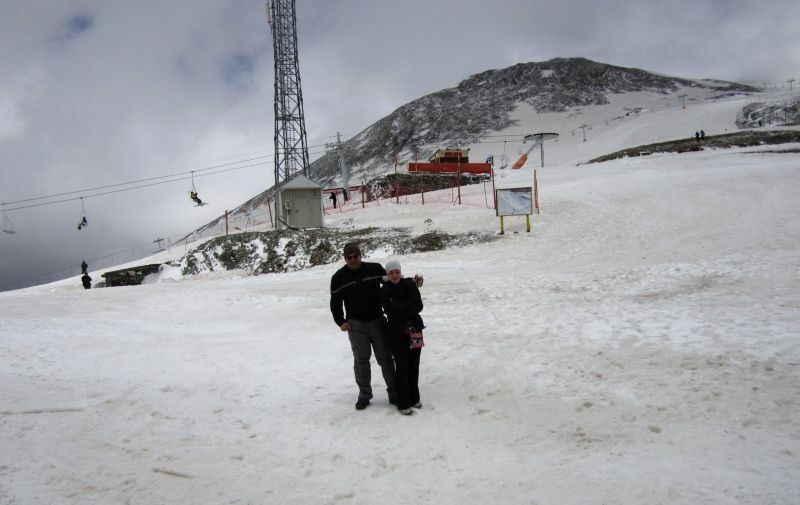 Skiing in Iran, at end of May? Yes, only 20 minutes away from Tehran. 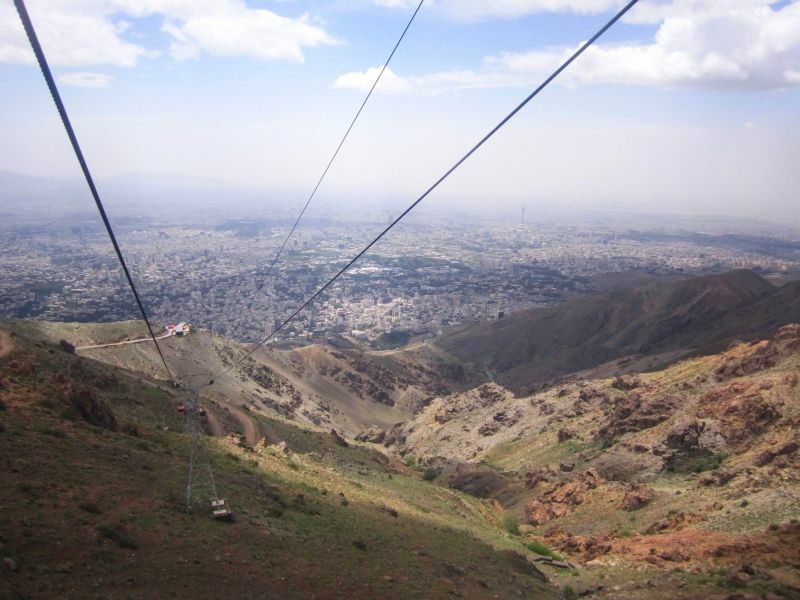 Just take the Tochal gondola lift and you will reach an altitude of 3740m. 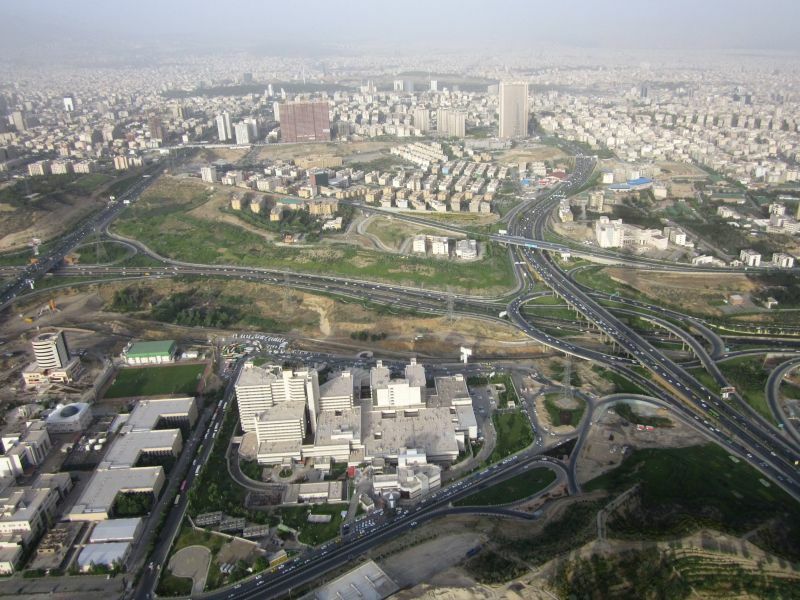 A good observation point is also the 435m high Milad tower, completed in 2007. 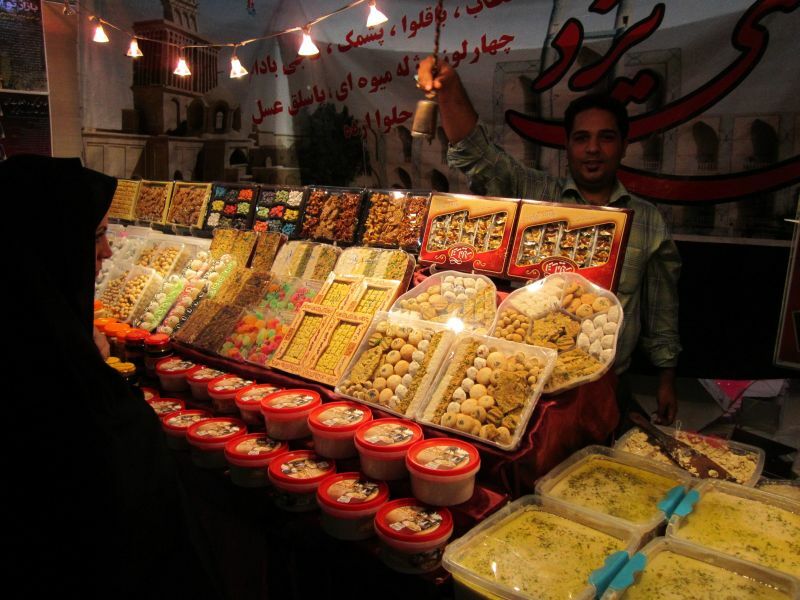 One of the many sweets stores in Iran. Absolutely delicious! Special thanks to Ali and his family for hosting us while in Tehran. You were great!